Rom. 10:13 For everyone who calls upon the name of the Lord [invoking Him as Lord] will be saved. When you think about the goodness of our God and all He has done for us, which is revealed through the many names that describe God, who do you say God is to you? Some may know Him as Jehovah Rapha the Lord our healer. Others as Jehovah Shalom the One who has given us peace, or Jehovah Jireh the Lord our provider, who has promised to provide for our every need. There are many attributes to our God and all with significance, but as you will see if we will learn about what scripture reveals as what should be recognized as one of if not the most important attribute of God, then everything else will fall into place. What is this attribute? “Lord”. Many are familiar with Romans 10:13 as it relates to one being born again, but this verse implies more than just a born again experience. Notice that when anyone calls upon the name of the Lord, invoking Him as the Lord of their life, they will be saved. First of all let me show you why acknowledging Him as Lord is truly what I believe the most important view of who God should be to us. Let’s begin by looking at the definition of the word “saved”. The word “saved” is translated as: to save one suffering from disease, to make well, heal, restore to health, to preserve one who is in danger of destruction, to save or rescue. When you think about all the attributes of God one of the easiest ways to know God as revealed through His many different names is to simply know Him as Lord. All who call upon the name of the Lord, invoke His Lordship, they will be saved from disease, made well, healed, restored to health, preserved from danger or destruction, and rescued. Notice that it did not say you might, it said that you will, which is an absolute, a guarantee. The key is to invoke His Lordship over your life, or to know Him as Lord. So what does it mean to know Him as Lord? We find out by looking at what the original Greek word for Lord actually means. It is defined as: supreme in authority, controller, by implication, Master. He to whom a person or thing belongs, about which he has power of deciding, the owner; one who has control of the person. Did you get that? Who should God be to us? He should be the one who is supreme in authority over our life, the controller and Master over us. He should be acknowledged as the one to whom we belong, and the one who has the power to make every decision in our life. Stop and think about that. When you call upon the name of the Lord you choose to make Him the Master of your life. We have been bought with a price. God is the One who should now be making the decisions in our life, because He rightfully owns us. You see when God is the One who has this kind of control over a believer think about the implications of what that means. If He is the One who is supreme in authority over us what would our thoughts be like? What would our actions be like? Would we not think the thoughts of God? Would we not do the works of God? If we are thinking like God, talking like God, and acting like God would you not experience all the rest of who He is? Our healer, provider, deliverer, our Prince of peace. How could we not experience all that God is if He is the One who is making our decisions for us? When God is calling the shots in our life we are going to walk out what is His will for us as revealed in the Word of God. Doing so will bring the very results that He has promised us. For example if we are doing what He says with our money are we not going to experience what He has said in His Word that as we give it shall be given unto us, good measure, pressed down, shaken together, and running over. 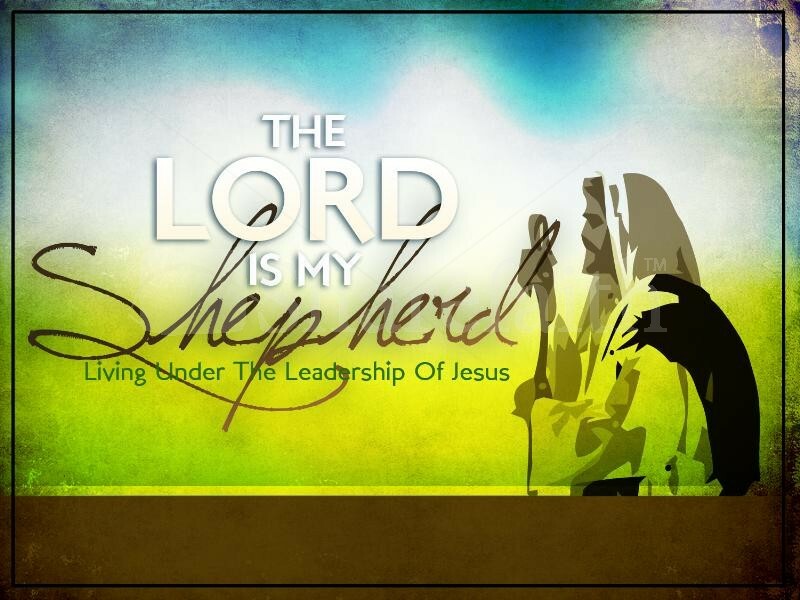 Jesus of course was a great example to us of recognizing the Lordship of His Father. Jesus said that He did nothing unless He saw the Father doing it. He said nothing except what He heard the Father saying. In the Garden of Gethsemane Jesus clearly stated not His will be done, but His Father will be done. So as Christians all we have to do is walk in the footsteps of our Master. Luke 6:46 “But why do you call Me ‘Lord, Lord,’ and not do the things which I say? Luke 6:48 He is like a man building a house, who dug deep and laid the foundation on the rock. And when the flood arose, the stream beat vehemently against that house, and could not shake it, for it was founded on the rock. Here is where we begin and what is truly one of the most important keys to knowing God as Lord. Jesus said why do you call Me Lord, Lord and not do the things I say? Remember Lord means that He is the one calling the shots, that we belong completely to Him, that He is the Master of our life. To do so we must come to Him, hear what He has to say, and then do what He says. To come to Jesus is not something we do just when we get born again. This would be something we do each and every day if we are getting our directions from Him. We would take the time to hear what He is saying. First and foremost to hear what He is saying we should be living in the Word of God. Jesus said if we abide in His Word we are His disciples indeed, we would know the truth and the truth would set us free. The easiest way to get to know the Lord and hear what He is trying to say to us is to simply open the Word of God, which is God speaking to us. This is where every believer needs to start and then continue to maintain as a part of their life. As Jesus stated if you come to Him, hear what He says, and do what He says storms will come, but you won’t be shaken by the storm and you will still be standing victorious when the storm has come and gone. Take note what Jesus said happens to those who also come to Him, hear what He has to say, but they did not do what He said. The storms come but these people have no foundation upon which to stand. When the storm hit the house fell. Sad to say I have seen this too many times in the life of believers. They come to Jesus, they hear what His Word says, but they continue to do their own thing choosing to be the Lord of their life instead of knowing God as Lord. If we are calling the shots in our life then we are going to wind up operating out of the old ways of the flesh. When you sow to the flesh you reap corruption, but when we choose to sow to the spirit, yielding to the Word of the Lord, we reap life. Every believer needs to understand that when we gave our life to Jesus we were making a decision to receive His Lordship over all of our lives. We were accepting the payment Christ made for us to purchase us and make us His own. Getting born again for many is simply what amounts to many as a ticket to heaven, not a complete lifestyle change. The significance of knowing Him as Lord is realizing that before becoming a child of God we did not know how to do things God’s way. We were conditioned and trained through the flesh and a fallen nature to do things the way of the world, which the Bible tells us that satan is the god of this world. We did not know how to walk by faith, the God-kind of faith, but as 1 John 5:4 states we overcome the world by our faith. Coming to Jesus on a daily basis, listening to what He is telling us, and then doing what He has revealed to us is how we are going to learn to walk by faith. As Smith Wigglesworth said, “Faith is an act.” When you look to what the Bible reveals about faith it is defined as “active obedience”. We begin to walk by faith when we simply walk in obedience to what the scriptures teach us. James reveals in chapter one that if we are hearers but not doers we deceive ourselves, but those who hear what scripture teaches and do what it teaches will be blessed in what they do. This once again reveals that coming and doing what Jesus said, making Him Lord over our life, will help us experience the fullness of who and what God has for us. So if we want to experience all of who God is in our life we simply need to make Him the Lord over our life. If He is Lord then He is the One to whom we have yielded the power of deciding what we do. This will change our thoughts to become like His, and will result in us doing what He does. We will see everything we are and all that we have as something He controls. God’s ways are not our ways, they are higher, and therefore much better than what we would experience apart from Him. Know Him as Lord and you will come to know all of who God is and all of what He has for your life.